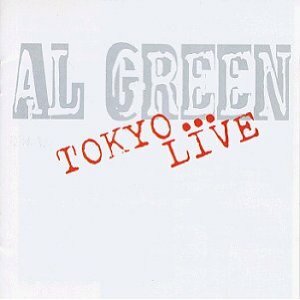 Tokyo Live is a live recording of Al Green performing in Japan in June 1978. It his only mainstream live soul album. If you want more Al Green, there is the Gospel Concert recording but reviews aren’t encouraging. Sound quality appears to be the problem but I haven’t heard it myself. The set list pulls four songs from The Belle Album including the terrific title track and dips into his back catalogue to the early seventies when Al Green was arguably the biggest R&B star in the world. My only gripe on what’s included is that the album isn’t long enough. There are plenty of other songs that I’d have loved to hear live from Let’s Stay Together, I’m Still In Love With You and Call Me. Al Green reaches into my heart and soul with a vulnerability and tenderness in his voice that I find compelling. Belle could have you popping down to your local church to celebrate your love and very existence. The backing band sounds excellent and they hit the groove in a number of places. I like these extended sessions but other people may prefer the brevity of the singles recorded in the studio. Here is a video of Al Green singing Let’s Say Together in 1978. And singing Belle also in 1978. I’ve deducted a couple of points here that I may regret but I suspect that there is a better Al Green live recording that remains unreleased. It would have been recorded in about 1973 somewhere in the United States. You hear how James Brown loves the Apollo and reacts to the crowd, I suspect Al Green would respond in a similar way. When I want to listen to Al Green, Tokyo Live is usually the album I turn to unless I want to hear a particular track that’s not featured. If you’re an Al Green fan, then this is a must-buy. If you’re a soul fan then again I believe it belongs in your collection. It’s very sad that this is the only proper Al Green live recording and if there’s another in the vaults, please release it. I was lucky enough to see Al Green in Birmingham in the nineties. He was still a terrific, warm, charming performer. I don’t understand why this doesn’t feature on more classic live soul albums lists. It is excellent and there aren’t alternative Al Green records to choose from. I don’t think he gets the credit he deserves. Over at Amazon.com, there is plenty of positive feedback. What Do You Think About Al Green Live? If you’ve heard this album, I’d like to know what you think. Is it a classic live soul recording? Please help me to find the best live albums by voting in the readers polls. This entry was posted in 1970s Live Albums, Soul Live Albums and tagged 1970s soul, 1978 live albums, 26 by Paul Simister. Bookmark the permalink.